“I would always prefer Love Marriage and two kids”, my sis said. I told her why don’t you do only one and take mine till he/she grows up to 4. She was shocked listening such thoughts of mine. So I explained her that I love kids but can’t take their poo and pee….God how to clean it’s so horrible and dirty. She could not control her laughter but I was very adamant with my thoughts. I had seen my aunts cleaning my cousins in their cloth diaper. Few years later my sis finally gave a birth to a sweet little angel. Let me not forget to say that she did Love Marriage J My niece “Nishka” one of the best gift to entire family. Being Masi for 1st time was like blessing. Loved playing and spending time with her. One day I was in charge of my niece as sis had to go for some important work. Things were going cool and suddenly I smelled something very wired and found that she has done poo….Oops I was in a fix, but thank god she had worn a diaper. 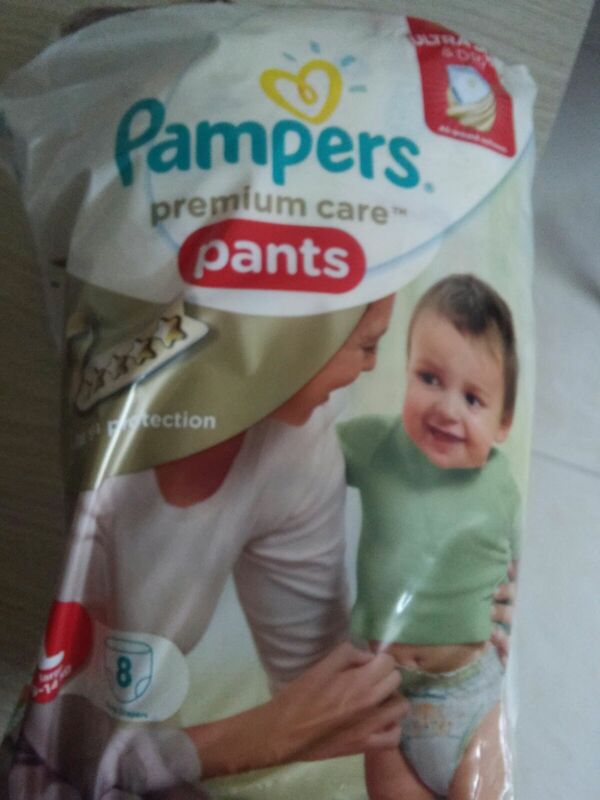 It was Pampers Diaper for small size. Things were then less complicated for me as I did not had to do much. I found that my niece was also very comfortable. I changed the diaper for her but was just wondering it would have been good if they had some better way to dispose it. Also some indication for changing the diaper. 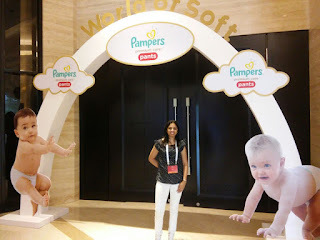 To my surprise then there came a parenting event of Pampers through blogadda. I was lucky enough to get a chance for this event. It was a launch of Pampers #SoftestforBabySkin. It was anchored by Actress & Television presenter-MandiraBedi with Actress & Celebrity mother-Tara Sharma. There was Pampers R&D Expert–Dr.Wei Sing Long. The best part of event was that there were many demonstration where we experienced the key benefits of the product. The main focus was on the tag “Good Sleep”. There were also many video clipping of Tara Sharma and her kid. We checked that Pamper new product is the softest diaper for baby through a test where there was a box with 3 different diapers. And 92% of us identified the right Softest for Baby diaper. The pamper R&D expert then shared with us that they use some kind of lotion which makes pamper soft and it does not affect the baby’s skin. This we verified through another test called as Test of Sensitivity. It was quite impressive the way they had shown. Yellow paper in Tara's hand is the paper that imitate’s a baby's skin. Yellow patch is the area treated with the lotion after exposed to a chemical of same pH as that of a baby's pee. The best part of event was that my wishes were fulfilled in the new diaper. There is yellow line on diaper which changes its color which is like an indication for changing the diaper. Also they have come out with a unique way of disposing the diaper. Event was really helpful for people like me who are future mums. It’s quite simple really – all that a baby needs to be happy is food and rest. While managing the food part is relatively easy, very often it is the sleep part that makes a mother lose sleep.